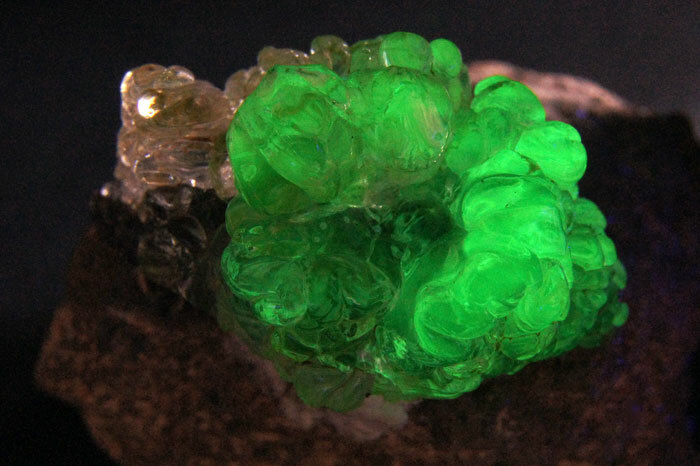 A colourless variety of Opal. 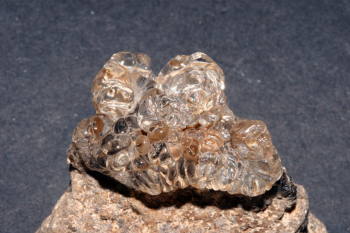 Hyalite is opal-AN, an amorphous silica-glass containing about 3-8% water. 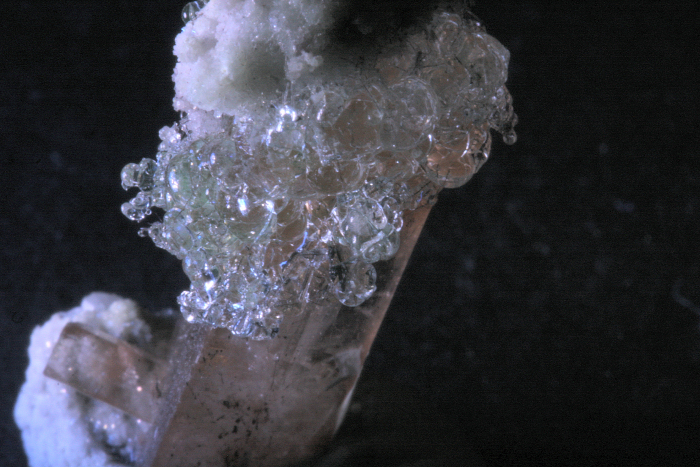 Hyalite is quite often present as a coating almost invisible to the naked eye on quartz, feldspar, topaz, black tourmaline, aquamarine etc. 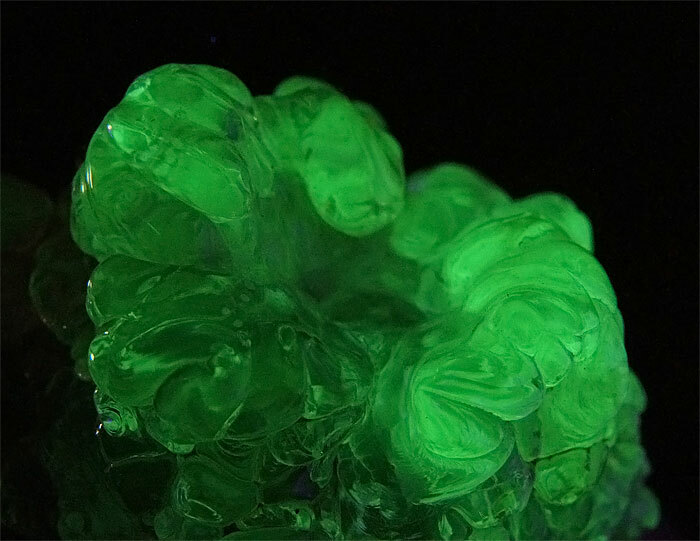 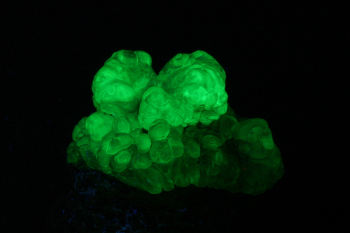 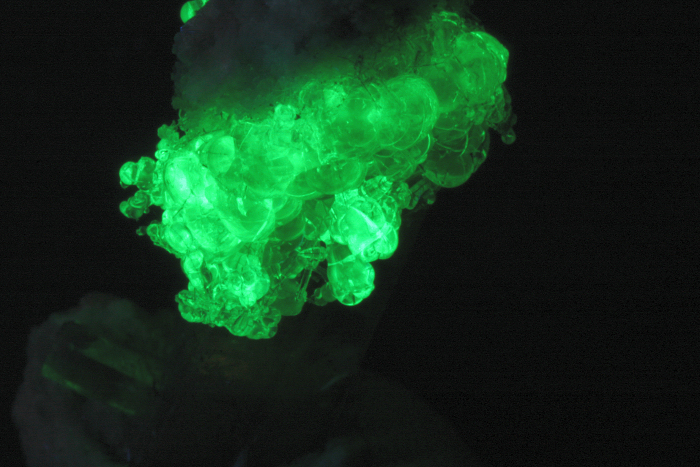 falsely suggesting that these minerals fluoresce. 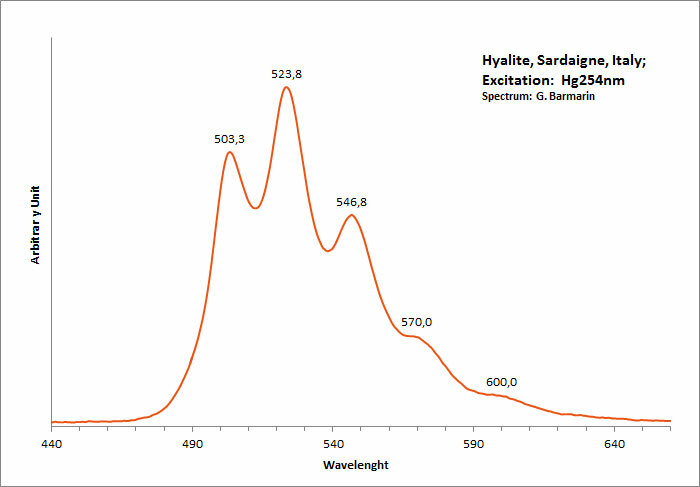 Typical spectrum of Uranyl impurities.